There was a time when I didn’t drink. Perish the thought, I actually served non-alcoholized wine at my wedding. A teetoler I proudly declared myself, until the influence of my husband. Likely our first glass of vino was shared over a fancy dinner at Chez Piggy’s in Canada’s first capital city, Kingston, Ontario. We dabbled in fine dining when we first married. Because of the obvious. There was no money for us to entertain ourselves, except for the weekly walk a few blocks to the corner store, where we’d indulge in Diet Cokes. Just after our first anniversary, I recall sitting two feet back from the table after consuming a meal that took my already eight month tummy to ten months with the final hurrah, homemade vanilla ice cream and berries wrapped in an oversized crepe. I was so full I thought my stomach expansion alone would force my baby out. If you’ve had dinner in my home often enough, you will have enjoyed them too. They have a permanent stamp of pleasure from our early days. Drizzle those crepes with chocolate sauce and plate it on lacey iced sugar…and, tada…piece de resistance! (I’ll tell you some day about the caramelized bananas and rum variety). What to accompany that dessert? I think they say sherry. I wouldn’t know. I’ll take coffee with dessert. 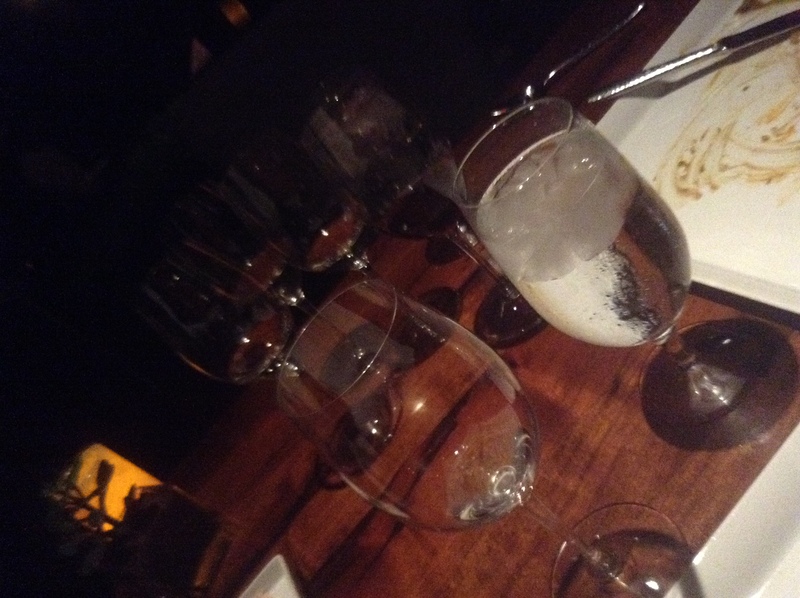 Our first few forages into fine dining introduced me to fine water. Sparkling or still? I was asked by a sommelier…a what? I asked. I dunno, tap water is fine. The wine professional rolled his eyes behind closed doors, I’m sure. I’m complicated. Take me to Africa and I’ll zap my glass with a UV light, preventing me from cholera. Take me to North America, and I’d like a Pellegrino please. Then we learned about wine. For the next few Fridays, I will share with you my favourite pairings. You’ve got an empty glass? It’s time to fill it up! Tags: wine pairings for mama. Bookmark the permalink. I am so looking forward to this series Teresa!